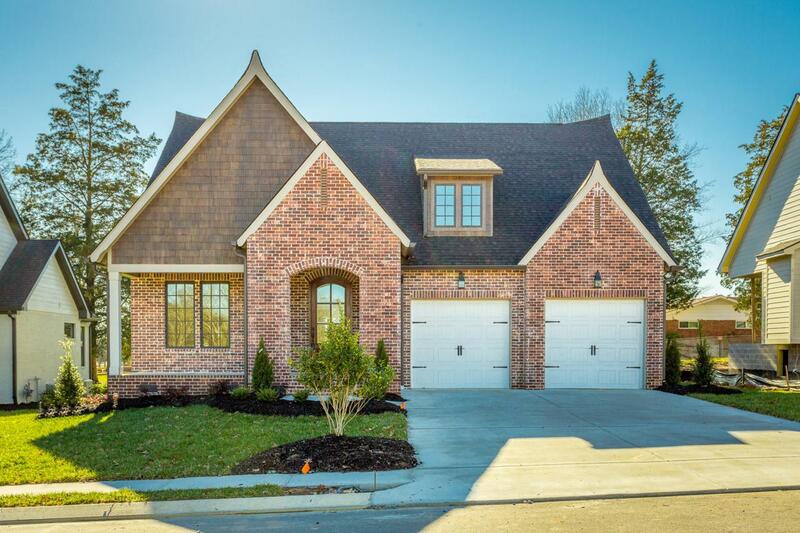 Welcome to Oakhaven Fields in Ooltewah, located one mile from East Hamilton School with easy access to Hamilton Place and Ooltewah's Cambridge Square. This popular Waters-Holland home plan, the Ascott, has been redesigned just for Oakhaven Fields! A spacious, two-story entry foyer opens to a formal dining room with french doors onto a covered front porch. The kitchen and great room are open for entertaining and include a gaslog fireplace and over-sized work island for dining. Extensive custom cabinetry, stainless appliances, tile backsplash and granite countertops make this kitchen a showstopper. A butler's pantry and walk-in pantry are two features that every homeowner dreams of. Located on the main level is the master bedroom with private bath featuring a soaking tub and tiled shower.Upstairs you'll find a finished bonus room and two baths and two bedrooms, one with ensuite bath. A covered deck overlooks a level backyard. Extensive hardwoods, generous moldings and trim, insulated Low E windows, energy-rated HVAC and more. Oakhaven Fields will include a community pool and park! Open House most Sundays!